AST Sight Gauge | Clay & Bailey Manufacturing Co. Designed for measuring the liquid level in AST’s. Entirely mechanical in operation. Sight gauge is readable up to 20 feet in height and visible from a distance of 12 feet. 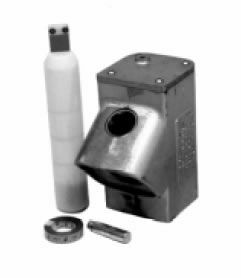 Easily installed in a 3″ or 2″ riser opening on top of the AST. Highest quality materials are used in the construction of the gauge, and it is impervious to most fuels. Accurate to 1/16th of an inch, with light aperture in top for easy viewing night or day. Tape, float and other parts are safely installed through the riser pipe into the AST, minimizing the chance of vandalism. Sight gauge may be combined with an audible alarm, see #1350. SKU: 1313. 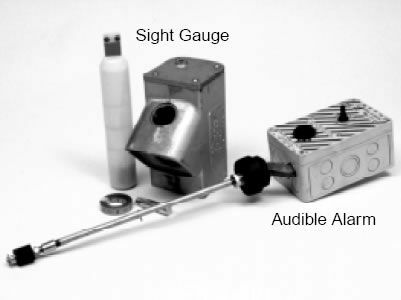 Categories: AST Equipment, Sight Gauge.